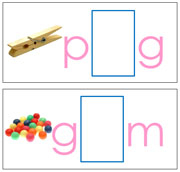 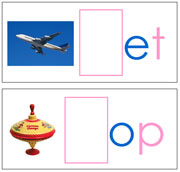 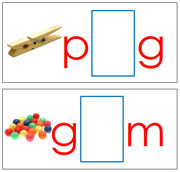 Begin this work once a child knows 12-15 phonetic sounds. 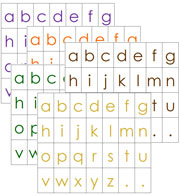 Alphabet Letters in lower and upper case, in 5 colors. 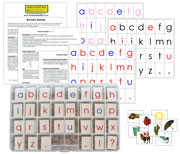 90 Initial sound cards for the printable Moveable Alphabet. 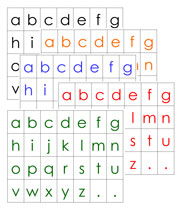 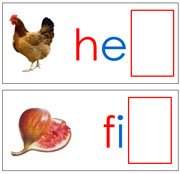 90 Vowel sound cards for the printable Moveable Alphabet. 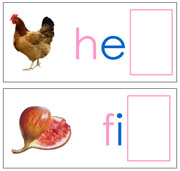 90 Ending sound cards for the printable Moveable Alphabet.